ECONET founder and executive chairman, Mr Strive Masiyiwa and his wife Tsitsi, have launched a $100m Challenge Fund to support rural entrepreneurs and other entrepreneurs focusing on rural areas in Zimbabwe as part of their extensive philanthropic work in Zimbabwe and across Africa. The fund is being financed from their personal resources and will be disbursed as loans through Steward Bank, a member of the Econet group. Mr Masiyiwa confirmed the developments in a statement issued yesterday. “My wife and I have decided to set up a special fund of $100m over five years for ReImagine Rural in Zimbabwe. We have also challenged our friends in the philanthropy community to join us to expand it across Africa. “The fund which is our own personal money will be disbursed as loans through Steward Bank (a member of the Econet group). The money will support projects from rural entrepreneurs or those entrepreneurs willing to focus on rural areas,” he said. He said 1,25 percent of the fund will be set aside for Matabeleland, women are going to get minimum 50 percent while traditional businesses like stores and grinding mills will be excluded from benefiting from the fund. The other conditions are that the minimum loan will be $1 000 while the maximum is $10 000, there is no collateral, the maximum interest is five percent, repayments will go into a revolving fund, all entrepreneurs must undergo training before accessing the loans and that there is no political lobbying for support. Mr Masiyiwa said Steward Bank will soon set up a special team for the Masiyiwa Rural Challenge Fund. “I want to use this initiative to challenge global donors to support mass entrepreneurship in Africa by putting my own money into what I believe. My wife is currently on a major drive to get this concept adopted by other philanthropists, so we can push into other African countries. “This initiative does not reduce our commitment to other areas of our philanthropy efforts including education and the $60m sanitation and water initiative in Harare. We thank the Lord who empowers us,” he said. 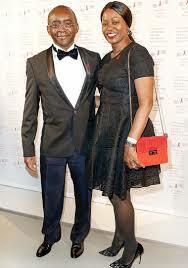 Last month Mr Masiyiwa was appointed to the board of trustees of the National Geographic Society. The National Geographic Society is an impact-driven global non-profit organisation based in Washington, DC. Mr Masiyiwa’s Econet Group is a telecommunications, media and technology company with operations and investments in 29 countries. Mr Masiyiwa currently serves on the board of Unilever, the transnational consumer goods company as well as the global advisory boards of the Council on Foreign Relations and Stanford University. In 2013, the United Nations and the World Bank appointed him to the advisory board of the Sustainable Energy for All Initiative. In addition, he is a trustee of the Asia Society; a member of the Committee on Conscience of the US Holocaust Memorial Museum; and was part of the Founders Circle of the Carbon War Room, an initiative created by Sir Richard Branson to promote market-based, low-carbon energy solutions to combat climate change. Mr Masiyiwa has also built a legacy of extensive philanthropic work across Africa. He is chairman of the board of the Alliance for a Green Revolution in Africa, which is working to improve food security and income levels for 30 million farming households by 2021. Committed to the next generation of African entrepreneurs, Mr Masiyiwa mentors young people from across the continent on his Facebook page, reaching out to more than 3,5 million followers. Together with his wife, Tsitsi, also founded the Higher Life Foundation, which has supported the education of more than 250 000 orphaned and vulnerable children in Africa over the past two decades.